That was 1963; of course he tried to... to characterise the enzyme and found, very quickly, that this was a hydrolyse... gut glucositic bonds, an alpha-glucosidase, with an acid pH optimum. Now, I'm talking about 1963; at that time, of course, we knew all about... not all about, but we knew a lot about lysosomes in the lab. He'd never participated in this work at all, but of course he knew they existed, and, you know, acid hydrolyse rings a bell, or rang a bell in anybody's head in that laboratory at the time, and the bell rang: lysosome. And so my friend Géry went back, he did some fractionation work and quickly established that this alpha-glucosidase was a lysosomal enzyme. And so now he had to explain why, due to the lack of a lysosomal enzyme, glycogen would accumulate in the cells, and being a very logical man, he said, 'There is only one explanation. In normal cells this mechanism of self-eating, autophagy, must bring into the lysosomes glycogen molecules, just as it brings in any other components of the cytoplasm, and, normally, those glycogen molecules are hydrolysed... digested by the glucosidase as a result, small glucose molecules that are produced diffuse through the membrane and are taken up by metabolisms.' But, as he reasoned, in the livers of the children afflicted with the disease, those glycogen molecules that entered the lysosome would find no enzyme to break them down and they would slowly accumulate. Sounded like a logical interpretation and if it was true then the glycogen that is accumulated pathologically in the cells would have to be inside lysosomes. 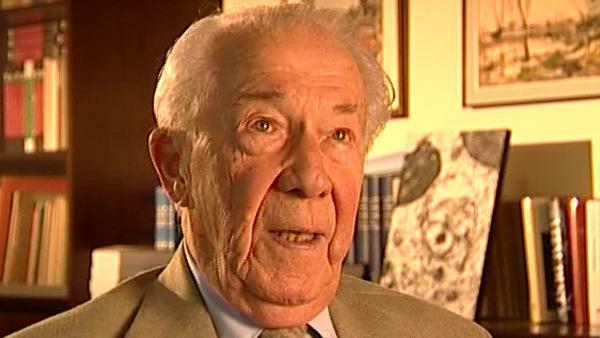 Belgian biochemist Christian de Duve (1917-2013) was best known for his work on understanding and categorising subcellular organelles. He won the Nobel Prize in Physiology or Medicine in 1974 for his joint discovery of lysosomes, the subcellular organelles that digest macromolecules and deal with ingested bacteria. Peter Newmark has recently retired as Editorial Director of BioMed Central Ltd, the Open Access journal publisher. He obtained a D. Phil. from Oxford University and was originally a research biochemist at St Bartholomew's Hospital Medical School in London, but left research to become Biology Editor and then Deputy Editor of the journal Nature. He then became Managing Director of Current Biology Ltd, where he started a series of Current Opinion journals, and was founding Editor of the journal Current Biology. Subsequently he was Editorial Director for Elsevier Science London, before joining BioMed Central Ltd.